A great website or app design should balance user experience (UX) with a beautiful, functional design. Generally, you have about 15 seconds to impress a website or app visitor. In today's fast paced world, people don't have much time. You have to capture a user's interest almost immediately to keep them around. A balance of great user experience and beautiful design gets you noticed. "Design is an opportunity to continue telling the story"
New Merkel has been designing websites for a long time. We have seen trends come and go, but the freshest most attractive works all have something in common: great user experience and great design. 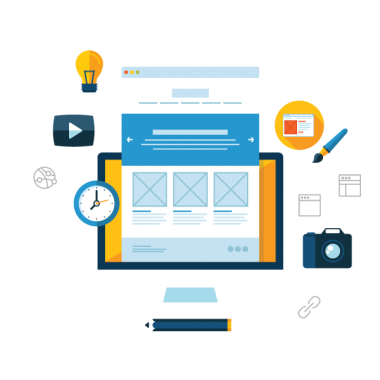 We allow the designer and programmer to work side by side which ensures all of the intended user experience functions translate from paper to web. We believe that close collaboration sets the stage for an outstanding result. Understanding exactly what you want is something that is very important to our design process. We have impressed time and time again with our attention to detail and ability to take ideas and help them grow. Let's get together and talk about your needs!